Here are some drawings of the initial steps in development of the eye in embryos. 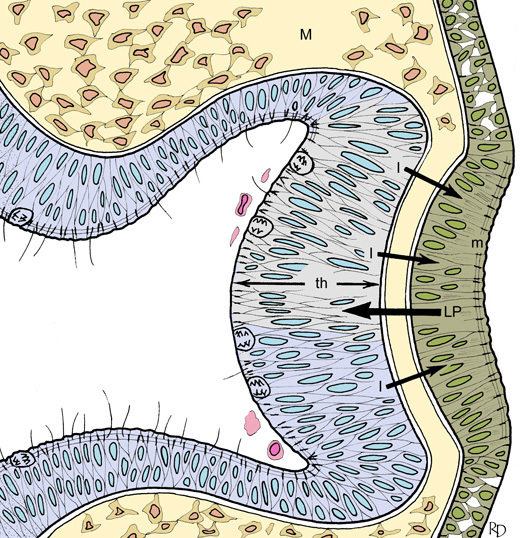 The optic vesicle (OV), part of the wall of the neural tube, grows laterally towards the overlying ectoderm (E). 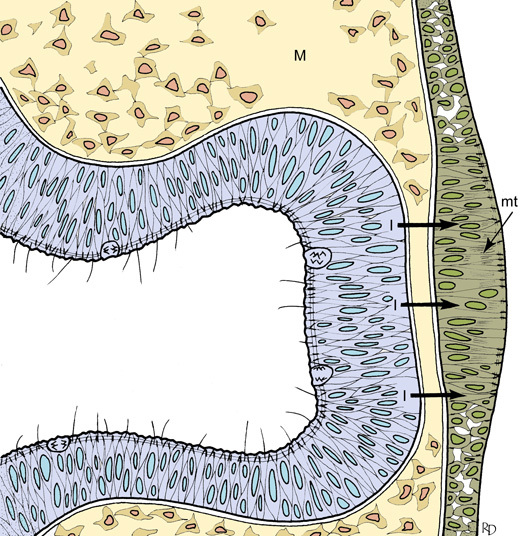 Mesodermal cells (M) between the tip of the optic vesicle and the ectoderm are displaced so that the two tissues can come into close proximity. 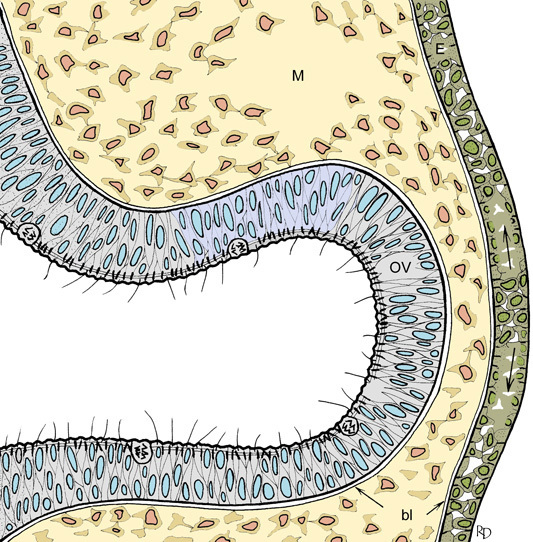 Cell division within the neural tube occurs at the luminal border. 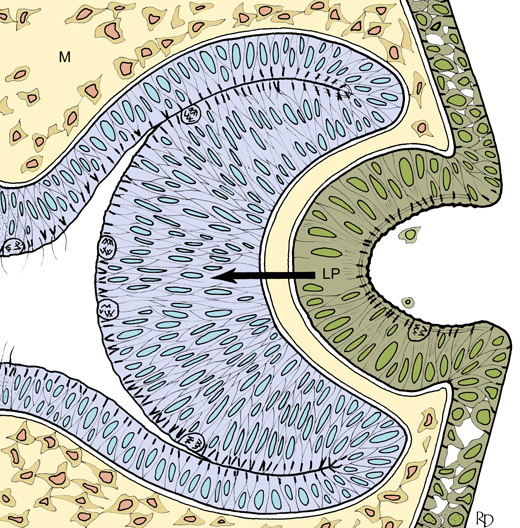 There is a basal lamina (bl) on the outer aspect of the neural tube and the inner aspect of the ectoderm. An inductive signal (I) from the tip of the optic vesicle causes the ectoderm to become locally thickened through the action of orientated bundles of microtubules (mt). This is the beginning of lens placode formation. The lens placode (LP) begins to invaginate. Microfilaments (m) in the apical region of the placode cells contract and help to deform the placode inwards. The tip of the optic vesicle responds by curving inwards and thickening (th). The optic vesicle has now become cup-shaped, and is referred to as the optic cup. The lens placode continues to invaginate. The optic cup has two layers - the outer pigment layer (PL) and the inner retina (R). The lens placode has closed and separated from the overlying ectoderm to form the lens vesicle (LV). 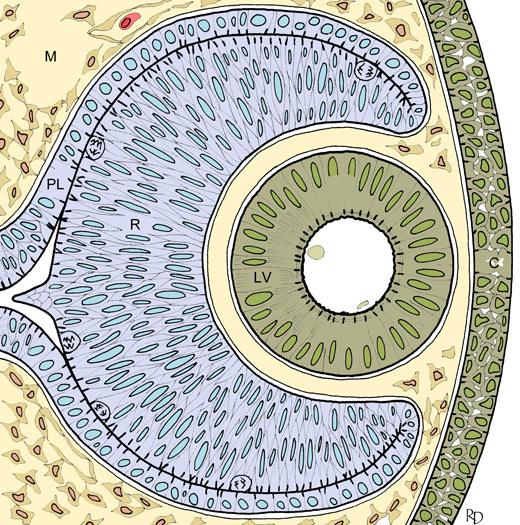 The ectoderm in front of the lens vesicle will differentiate as the cornea (C). Mesodermal cells are entering the optic cup, and formation of blood vessels is beginning.